To become an interior designer you'll need specific coursework such as interior design, drawing and computer-aided design (CAD) along with a bachelor’s degree in almost any field is usually required. To gain additional training and knowledge, there are many interior design programs available. There are also over 300 postsecondary colleges and universities that offer programs in interior design and more than 150 professional-level interior design programs. There are also specific licensing requirements for interior designers depending on the state. To take the exam, applicants most often have to have a bachelor’s degree plus 2 years experience. The National Council for Interior Design Qualification (NCIDQ) exam is the most common qualifying exam that’s available and once passed applicants may call themselves registered interior designers. To become an interior designer, there are a number of valuable qualities that are important to have to start a career and to be successful. First of all, interior designers are usually highly creative people who possess their own sense of style. They often enjoy a high sense of fashion and are naturally good at combining color and texture to create visually appealing combinations to design clothing or places that evoke a sense of emotion and that are exceptionally pleasing to the eye. Can You Visualize the End Result? Interior designers must be able to see beyond the current environment and actually visualize what they hope to accomplish as an end result. Visualizing an environment is an art, but experience plays a lot in understanding what to expect once the project is completed. Are You Creative Have Your Own Sense of Style? Interior designers must be able to picture a space and see all kinds of possibilities. Being able to identify both the positives and negatives about a particular space will help them to make the best of what they have to work with. 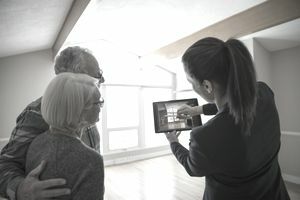 In addition to visualizing a space to make it more aesthetically appealing, their job also includes listening to the client and creating an outcome that meets all of their individual or collective needs. Being exact in the measurements of a space and how to place the furnishings is more of the science of interior design than it is the art. Clients depend on their interior designer to be able to put all of the pieces together so that they will not only fit but they will also look beautiful besides. Part of an interior designers job is to be able to listen carefully and come up with a design that surpasses the client’s expectations. There’s no room for error when it comes to interpreting the needs of the client. The interior designer is also responsible for bringing all of the people together who have been contracted to complete the design, and if they are unable to work closely with these people, the end result will most likely suffer. Do You Have the Ability to Do Creative Problem-Solving? Just like in building a house there are many things that can go wrong when designing a room or an entire house. Delays are not unusual and trying to stay on schedule and complete the project on time can often be most challenging. What Are Some of the Challenges in Working in Interior Design? Interior designers much keep ahead of the current trends in creating a beautiful and comfortable home or office environment. They must also be aware of what clients are asking for and find ways to meet the client’s needs even before they express them. The spaces they create must be a reflection of the times and also be unique enough to meet an individual client's tastes in a very individual way. What Kind of Entry-Level Positions Are Available in Interior Design? Future interior designers usually begin their jobs assisting designers with the routine tasks required in creating a beautiful design. Experience is key in becoming a ​good designer along with all of the qualities necessary to become successful in the field. Getting Started in Interior Design. Some of the best ways to get started in interior design are by conducting informational interviews and perhaps a few job shadowing experiences to see if the field is really what you expect it to be. Once you can get a better understanding of what goes on on a day-to-day basis, you will be better prepared to apply for internships that will help you to gain some experience in the field.